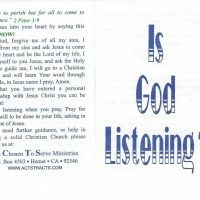 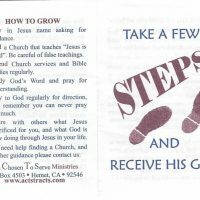 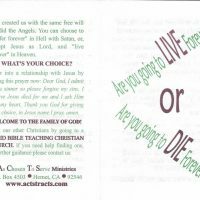 ACTS Tracts | Hey, What’s up? 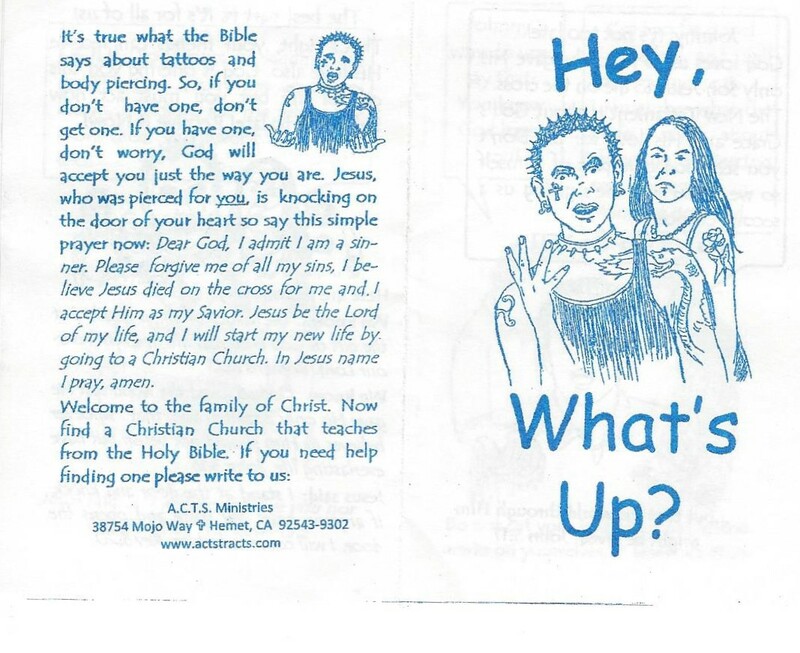 Home > Shop > Hey, What’s up? 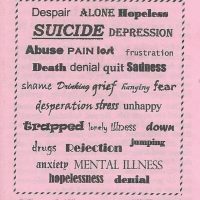 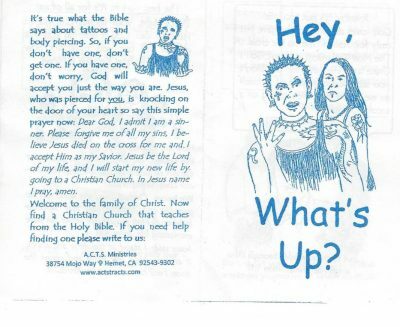 Salvation tract geared towards teenagers who entertained the idea of or have obtained tattoos and piercings and feel they are too far gone to receive the gift of Salvation from Jesus Christ.